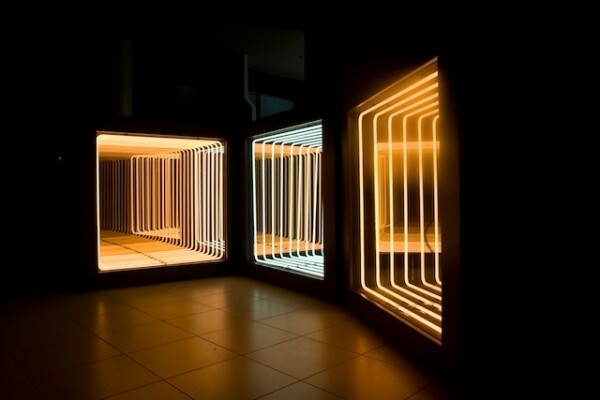 Paolo Scirpa’s Infinite Neon Loops « Adafruit Industries – Makers, hackers, artists, designers and engineers! From adolescence through his formal academic years and beyond, Scirpa has always been interested in the intersection of light and color, creating work that spanned Expressionist, Nouveau Réalisme, and Pop Art movements. However as the 1980’s approached ideas evolved and times changed, pushing Scirpa’s artistic area of interest to make the leap from two to three dimensions—a transition that lead to his Ludoscopes, an area in which he still works today. 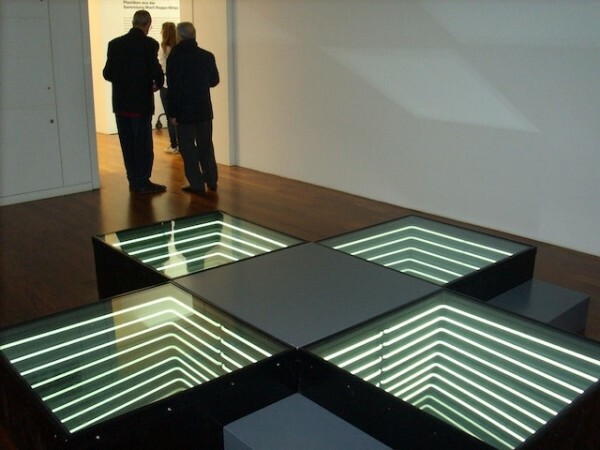 Employing the geometry of three fundamental shapes (the equilateral triangle, square, and circle) as a platform to jump from, Scirpa uses neon and mirrors to approach objective space and the theoretical realm of infinity. While modest in material, even the most basic of said sculptures creates a complex simulated space that holds a power to inspire imagination and invoke a sense of curiosity that’s as relevant today as ever before. More here including a brief interview with Scirpa.